The Charity of Spartan300 is a tax-exempt charitable organization under section 501(c)(3) of the Internal Revenue Code. Contributions to the Charity of Spartan300 are deductible under section 170 of the Internal Revenue Code to the maximum extent allowed by law. A financial statement is available from the Virginia State Office of Consumer Affairs in the Department of Agriculture and Consumer Services upon request. ​The Charity of Spartan300 gives from the heart to provide financial support to former classmates, faculty and staff who attended or worked at West Springfield High School (WSHS) in Springfield, Virginia that are experiencing hardships caused by devastating events, such as the loss of a family member(s), suffering a debilitating illness or any other type of dire situation. 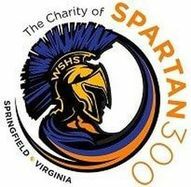 The Charity of Spartan300’s aim is to bring the WSHS community together for the purpose of supporting and uplifting individuals and/or families in need. To achieve this pursuit the Charity of Spartan300 will sponsor charitable, fund raising social events. The Charity of Spartan300 is organized and operated exclusively for charitable, religious, educational, and scientific purposes, including for such purposes, the making of distributions to organizations that qualify as exempt organizations under Section 501(c)(3) of the Internal Revenue Code or corresponding section of any future federal tax code. The Charity of Spartan300 is a non-profit organization.